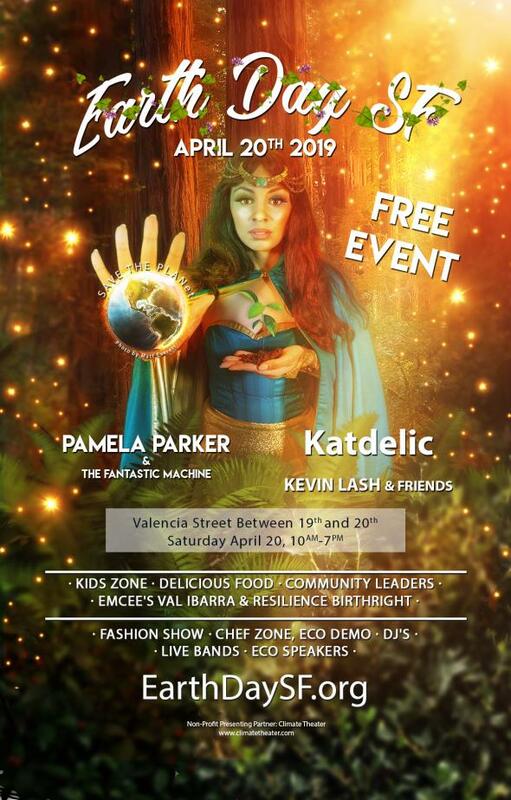 On April 20, 2019, thousands of people from the Bay Area will converge at Valencia Street in San Francisco to celebrate Earth Day SF 2019 from 10am-7pm! This year we are excited to announce our new location — one of the hippest, greenest, and most culturally diverse neighborhoods in the city — The Mission. The annual Earth Day SF festival will be on Valencia Street, between 19th and 20th street. Earth Day SF is more than a music festival, it is a fun filled experience with eco educational opportunities such as: organic/vegan/local chef demos, eco fashion shows, innovative and earth friendly product vendors, earth justice activism and renowned speakers. Join musicians, speakers, educators and mentors, artists and artisans, crafts people, civic and community leaders, youth activists, and social justice non-profit organizations in this powerful day of green sustainability solutions. Jessica Jane Robinson, also known as the eco-superhero Resilience Birthright, will emcee Earth Day San Francisco 2019. Resilience is a superhero addressing climate change through zero waste and sustainability, sharing ways the San Francisco Bay Area community can take the lead in healing the planet and eco-system. Musical acts include local favorites: Pamela Parker and the Fantastic Machine, Katdelic and Kevin Lash. Speakers include acclaimed author and cosmetic safety leader Stacy Malkan, and environmental justice activist MonaLisa Wallace, esq.